Humboldt State University (HSU), the northernmost campus of the California State University system, is surrounded not only by hundreds of miles of pristine coastline and meandering rivers, but also by majestic ancient redwood forests. Stately coastal redwoods, among the tallest trees in the world, thrive in our region thanks to chilly air coming in off the Pacific Ocean and heavy rainfalls during the winter season. These natural wonders serve as inspiration for the faculty, staff, and students at our institution. Every year, HSU welcomes thousands of new students, predominately from Los Angeles and the San Francisco Bay Area. Some represent the first generation in their family to enroll in college, and several have overcome obstacles, yet every student embodies limitless potential. Like these 800- to 1,800-year-old trees, many of our students come with varied upbringings and will go through observable stages of development throughout their lifetimes. 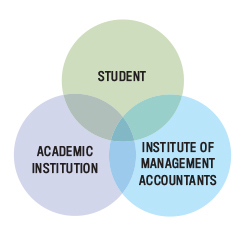 As faculty, we’re committed to cultivating conditions that accelerate career growth and personal development, and IMA® (Institute of Management Accountants) has helped our institution fulfill this objective (see Figure 1). Young coastal redwood seeds, no bigger than the size of a pumpkin seed, possess the power to evolve into a tree that is more than 380 feet tall. Seeds can come in various sizes, shapes, and weights and have limited control over where they’re ultimately dispersed. Birds may drop seeds on a rocky bluff near the beach. Animals may haphazardly track seeds to roadsides, yards, or forest floors. Seeds will germinate and grow only where conditions are favorable. The reasons these trees swell to the height of a 36-story skyscraper is largely unknown, but many experts cite the importance of soil sediments supporting the trees’ expansive root system. As educators, we aim to create a similarly rich environment for learning and development. Within the California State University system, we’re also committed to providing an accessible education. While making a college degree obtainable can hold different meanings to different people, we have broadly committed to providing an affordable, high-quality education to a diverse range of students of varied socioeconomic backgrounds. In some cases, this means supporting students whose circumstances have left them deficient in foundational skills. To ensure that these students take root, we offer learning support services, such as math tutoring labs and writing studios. We remove other barriers to education through our financial aid, counseling, multicultural, and health centers on campus. Outside of these traditional university services, we partner with IMA to open new horizons for our students. The IMA Memorial Education Fund offers financial aid opportunities to our undergraduate and graduate students. 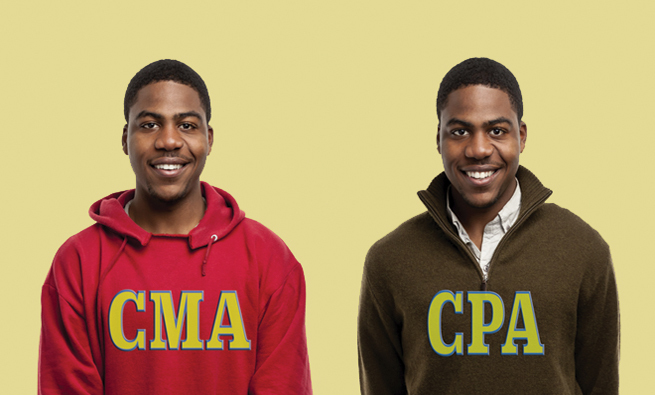 Moreover, students with high GPAs are eligible to take the CMA® (Certified Management Accountant) exam at no cost. Five of our students benefitted from the program this past academic year. Through these opportunities, students can focus more of their time on studying and less time worrying whether their next paycheck will cover basic educational or professional necessities. Once certain barriers to education have been removed, we focus on developing a well-grounded individual with an appreciation of global sustainability initiatives. Drawing from our rich natural environment, HSU’s curriculum is infused with social and environmental responsibility ideals. Regardless of their chosen discipline, our students are prepared to advance social justice, promote environmental responsibility, and improve economic conditions in their workplaces and local communities—not only to focus on generating profits, but also to take into account the impact of business decisions on people and the planet. To advance a corporate social responsibility view, we infuse each course with sustainability concepts. Instead of simply discussing ethical standards in the abstract, accounting students can apply the IMA Statement of Ethical Professional Practice and related principles to practical case studies. The IMA Statement is also used as an aid in helping students develop their own personal code of conduct in the business program. Moreover, IMA training webinars help reinforce these concepts by highlighting real-life ethical dilemmas people face in the workplace. We intend to launch a stand-alone accounting course in professional ethics next year to further emphasize the importance of sustainable practices and help our students meet new requirements under the California Accountancy Act. As the redwood tree begins to take form in its early life, branches will emerge and a thin bark will coat the plant. This is the time the tree is most vulnerable. As the root system develops, the seedling will compete for water, space, and sunlight on the forest floor. Without adequate nurturing or protection, the seedling has no promise of evolving into a sapling. Coastal redwoods require hundreds of gallons of water. In fact, the trees take in so much water during their juvenile state that they have a tendency to shrink and swell around the cycles of season. Luckily, rainfall in the region exceeds nearly 100 inches annually. In a similar manner, our students are thirsty for relevant resources related to their academic field. Our foremost frontline of defense is our qualified and energetic faculty. The most important evaluation factor when determining retention and promotion at our school is teaching performance. HSU actively seeks faculty who have excelled in academia through research and who also possess experience in management roles within private or public industry. Many of the faculty members possess relevant professional certifications. 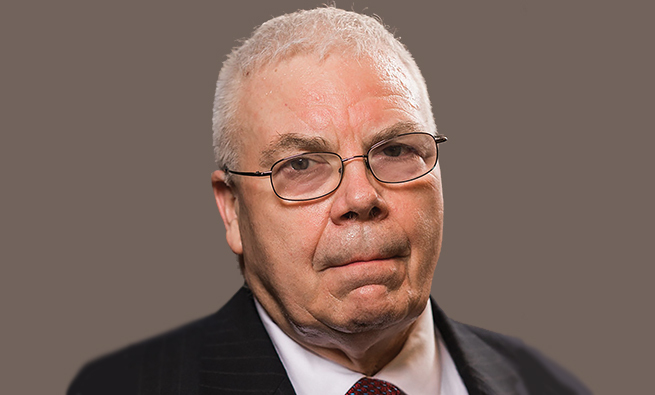 If we hope to teach the future generation about the business world, we believe the faculty should have the background and experience required on the job. 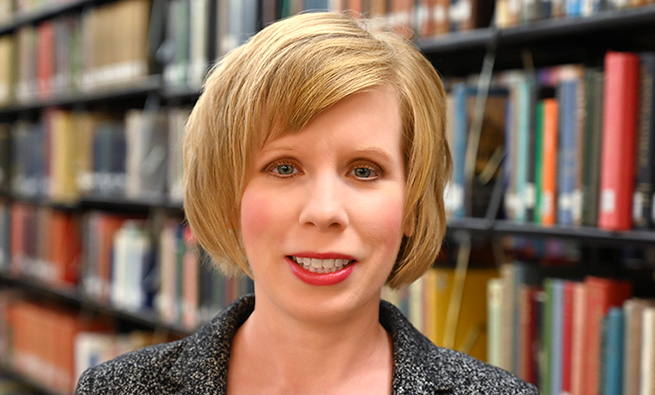 While professors’ own textbooks and research are valuable resources for students, course offerings should also be responsive and immediately relevant to the demands of the job market. Currently, all business majors must fulfill basic foundational courses in such topics as business law, financial accounting, management accounting, principles of economics, and mathematics. After completing their lower-division core, students are encouraged to select a concentration in accounting, finance, or another business discipline and complete 24 upper-division units in that field. Special efforts are undertaken to integrate content in lower-division courses and reinforce concepts at the upper-division level, especially in the accounting and finance disciplines. Accounting and finance faculty work closely to identify fundamental knowledge bases and to develop strategies for addressing shortcomings. Traditional business theory and other related concepts are reinforced through customized teaching methods involving service-oriented projects. Students may be formed into project teams, for example, to evaluate the merits of a capital investment using traditional net present value decision criteria. After identifying a solution that would lead to the highest financial return on investment, students analyze the social and environmental consequences of their decision. An investment decision is assessed from a triple-bottom-line perspective—profit, people, and planet. Students are expected to conduct an extensive evaluation of external variables and intangible costs or benefits beyond the narrowly scoped textbook answer. In HSU’s MBA program, students take a mixture of traditional business and sustainability-infused courses. Accounting for the Triple Bottom Line, Designing Sustainable Organizations, and Sustainability/Ethics are just a few examples of our distinctive courses that have relevance to management accountants. 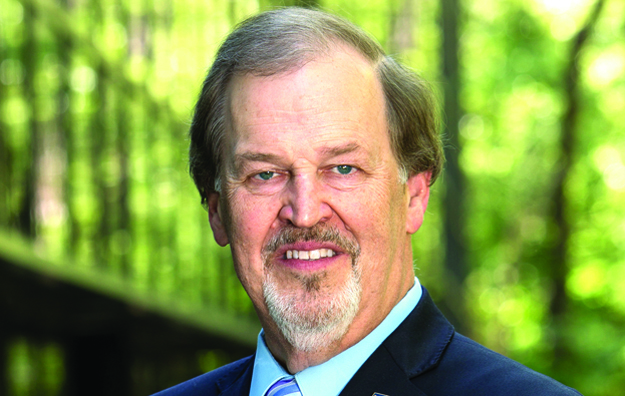 IMA’s Statement on Management Accounting, “The Evolution of Accountability—Sustainability Reporting for Accountants,” describes the relationship between sustainability and accounting as the connection between financial and nonfinancial reporting—in other words, the sustainable worth of the entity. Students apply the knowledge obtained in the classroom to solving complex, multidisciplinary “real-world” problems. For example, one project entails students collaborating with the Humboldt Made nonprofit consortium to solve local food sourcing, branding, and pricing challenges. Many use these applied experiences to secure internal management roles or start their own business. While our program was academically accredited, the question of whether the concepts being taught were relevant to actual business leaders remained. IMA’s Higher Education Endorsement Program was a logical step for external validation that our accounting and finance curriculum aligned with the expectations of leading industry experts. We used the assessment process to chart and refine our approach to teaching advanced accounting and financial management skills, especially in the areas of financial planning, analysis, control, and decision support. Because these areas are increasingly critical in meeting the changing needs of business, it’s essential learning for accounting and finance students. The application process encouraged us to reexamine certain practices, reprioritize content areas, cultivate new student-centered resources, and establish advisory panels from private industry. As redwoods mature, they will grow several feet each year. During this process of rapid development, juvenile trees also release high levels of oxygen and remove carbon dioxide from the air. Each tree grows to the extent that local conditions allow. While competing for water and sunlight, the tree is also codependent on other species for survival. For example, the fertile soil that contributes to the trees’ extensive growth relies on the regeneration of ferns, fungi, berry bushes, and decaying logs in the area. In much the same manner, students’ growth rates vary based on settings. To create a lush learning atmosphere, we have designed a personalized learning experience for each student. After attending a traditional classroom lecture, students can access recorded “step-by-step” demonstration videos to reinforce the concepts covered in class. Additionally, students are required to complete adaptive learning modules in conjunction with their required readings. These interactive problems facilitate a more customized learning experience that helps build confidence with each correct answer. Since the numeric values contained in each question adapt around the student, there’s little incentive to share solutions with others. Our ability to pinpoint individual performance through the use of analytical reports is also enhanced by moving traditional homework problems online. We have found that immediate feedback offered through these interactive systems leads to better student engagement. To reach its full potential, any living organism must effectively coexist through symbiotic relationships. In addition to developing our students’ technical skills, we also have a responsibility to hone their social talents. These soft skills are better learned through practice than from a textbook. We encourage students to interact with the business community. To help students build job networking skills, we host an annual conference that brings students and finance professionals together. The event serves many purposes, including linking prospective job applicants and employers, helping current students obtain career advice from working professionals, exposing students to the benefits of pursuing a professional certification such as the CMA, and connecting students to resource providers. Despite the success of the event, our market is limited to regional employers. By partnering with IMA, we help students expand their network to a national level. Using the résumé builder and job search tool, students can find opportunities in their hometown or elsewhere within the United States. LinkUp IMA provides another online professional channel that allows students to post announcements, utilize shared workspaces, or participate in peer groups by location, interest area, university, or industry. One of the most significant benefits of the HSU-IMA partnership has been the resources offered to our student accounting club. IMA has linked our student members to the IMA Redwood Empire Chapter, which consists of accounting professionals from the Bay Area. This local chapter provides critical financial support, education, leadership, and mentoring for our students. IMA student members can also take advantage of a number of recognition opportunities through active community service involvement. Gold, silver, or bronze awards are distributed each year to student chapters that promote IMA’s mission and sponsor a variety of activities and services. The Clark Johnson Achievement Award, for example, acknowledges chapters whose efforts best reflect outstanding leadership through innovation, organizational development, and interdependent partnerships. The IMA Student Manuscript Competition provides an opportunity for student members to share their experiences. And IMA’s Student Leadership Conference, a national event where like-minded students exchange information and establish new professional relationships, provides an avenue for students to be formally recognized for their achievements. 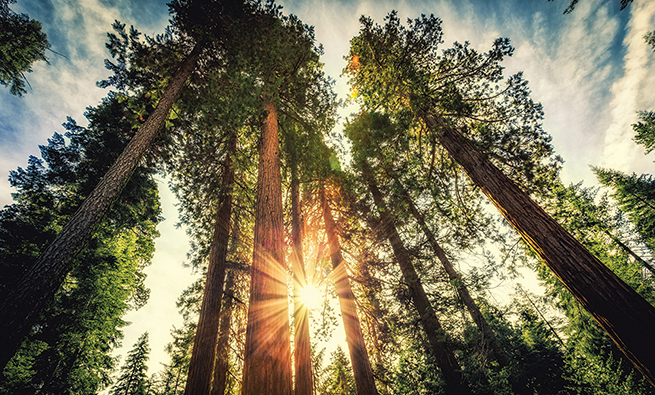 For redwood trees to survive, they must be able to protect themselves from natural enemies, such as unwelcome insects or catastrophic forest fires. Over the course of several years, these trees develop a thick bark to resist such threats. Another defensive mechanism is the ability to reproduce new sprouts that are exact clones of the original tree. In essence, these measures enable the coastal redwood to pass the test of time and truly stand out on the forest floor. To build resiliency for a 21st Century professional, our curriculum focuses on merging timeless skills, such as critical thinking and research capabilities, with the latest in emerging technologies. Acquisition, analysis, and presentation of statistical data are quantitative skills that get special emphasis in our program. We also encourage hands-on learning and proactive research. Instead of simply lecturing about the Accounting Standards Codification or Statements on Management Accounting, we ask our students to research rules and formalize their own positions. Business students learn to produce professional written assignments and oral presentations delivered in a realistic business setting. We’re focused on creating a deep learning experience. One of the more important resources offered by IMA to support our efforts is the IMA Educational Case Journal (IECJ®), a quarterly online journal that publishes teaching cases and accompanying notes. IECJ cases cover a wide range of topics reflecting the diverse skill set required of management accountants. The published cases take learning beyond mere “number-crunching” exercises to require interpretation of data in a decision-making context. Another resource is the annual IMA Student Case Competition, which puts the students to work outside the classroom. The Case Competition is a unique opportunity for students to analyze a relevant case, develop a solution, and present their research. Finalists in the competition are invited to attend IMA’s Annual Conference & Expo to present their solution in person before a panel of judges. On the technology front, students are encouraged to utilize applications supporting efficient problem solving. But many of the technologies we use today will likely become obsolete in the not-so-distant future, so a hardy workforce needs to be able to recognize this fact and adapt quickly to the new, ever-constant changes. Rather than teaching how to use a specific vendor solution, we focus on deploying technologies that are malleable to user-defined criteria or business logic, such as Microsoft Excel. QuickBooks online has been deployed not as a preferred accounting platform but as an affordable means to highlight the full-cycle accounting activities and benefits of cloud-based digital platforms. Our business advisory council also plays an important role in identifying relevant software for future use in the classroom. Students can succeed in a competitive job market through differentiation, and IMA represents a key partner in this effort. When students join the IMA Accounting Honor Society (IAHS), they are recognized and honored for their achievement in the study of accounting. IAHS membership is available to all students who meet relevant eligibility criteria, such as maintaining an academic GPA of 3.0 or higher. As a condition of joining, students agree to uphold certain standards of respect, integrity, achievement, and innovation. Our ultimate goal at HSU is to help students stand out professionally. In our determination, a globally recognized, advanced-level credential such as the CMA is an excellent initial step toward achieving this goal. Globally, CMAs earn 61% more than their non-CMA peers in median base salary and total compensation. The exam covers the in-demand skills for accountants and financial professionals in business. To help prepare our students, we focus on aligning and integrating course content around the CMA. All business students are exposed to a minimum of 80% of the content covered on the exam via their lower-division accounting and finance courses. This content is further reinforced at the upper-division level where accounting students must enroll in Intermediate Financial Accounting I & II, Cost Accounting, Planning & Control, Nonprofit Accounting, Tax Accounting, Auditing, Business & Society, and Strategic Management, essentially Part 1 of the exam. Meanwhile, our finance students take Intermediate Business Statistics, Investment Management, Financial Management, Multinational Corporate Finance, and Capital Budgeting, where they learn about content covered in Part 2 of the exam. In the near future, we plan to offer an elective CMA review course that will bring all of this content together, highlight key concepts, and offer general test strategies for prospective CMA candidates. The life of the redwood tree is part of a greater cycle of birth and renewal within the forest. The tall, vibrant trees thriving in the forest contribute in some way to sheltering and nurturing others, and even a tree that dies and eventually falls to the forest floor becomes part of the nourishing ecosystem that helps the next seedlings flourish. The accounting and finance world is always changing, and the graduates who can think beyond the textbook and apply the skills and ideas they learned to any situation will be well situated to take a leading role in the profession. At HSU, we work to provide our students with the skills and abilities they will need to not only succeed in their chosen jobs but to help drive the profession itself. 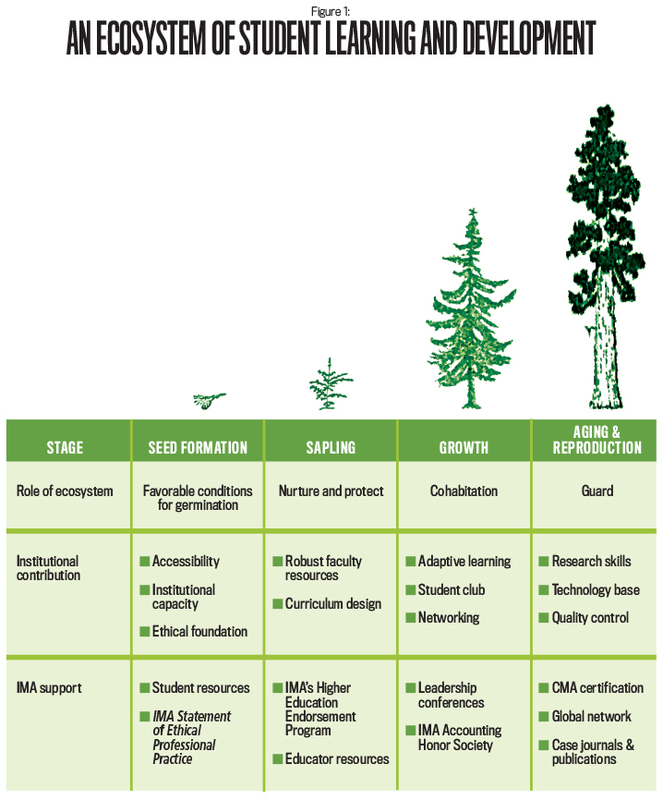 John Muir once said “the clearest way into the Universe is through a forest wilderness.” Combining the work of HSU with the resources of IMA has proven to be an effective system in guiding youth for this pivotal journey. Joshua Zender, CPA, CGMA, CGFM, CIA, is an assistant professor at Humboldt State University and a member of IMA’s Redwood Empire Chapter. You can contact him at joshua.zender@humboldt.edu.